← Everything Cookies! My favorites. Salt, Pepper, Oregano, Rosemary, Thyme, Tumeric, Chili Powder, Garlic, Tarragon, Basil, Sage – all work well. 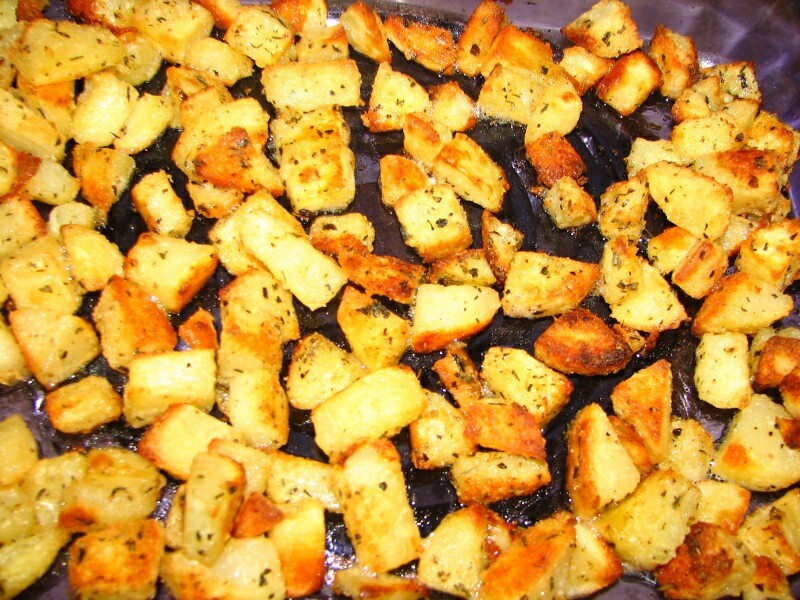 Pour olive oil over cubed potatoes and sprinkle with seasonings. Let bake, using a spatula, turn over after about 20 minutes. Usually takes about 45 minutes. Broil for 5 minutes to get nice a crispy. 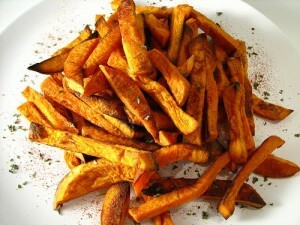 Make with sweet potatoes and serve with skewers for appetizers. This entry was posted in Appetizers, Eat your vegetables, Fan Favorites, Side Dishes and tagged fried, Oven, Potatoes, sweet potatoes. Bookmark the permalink.